On the Connect page, click the Trade Shows button at the top of the page. The Trade Show List panel will appear. 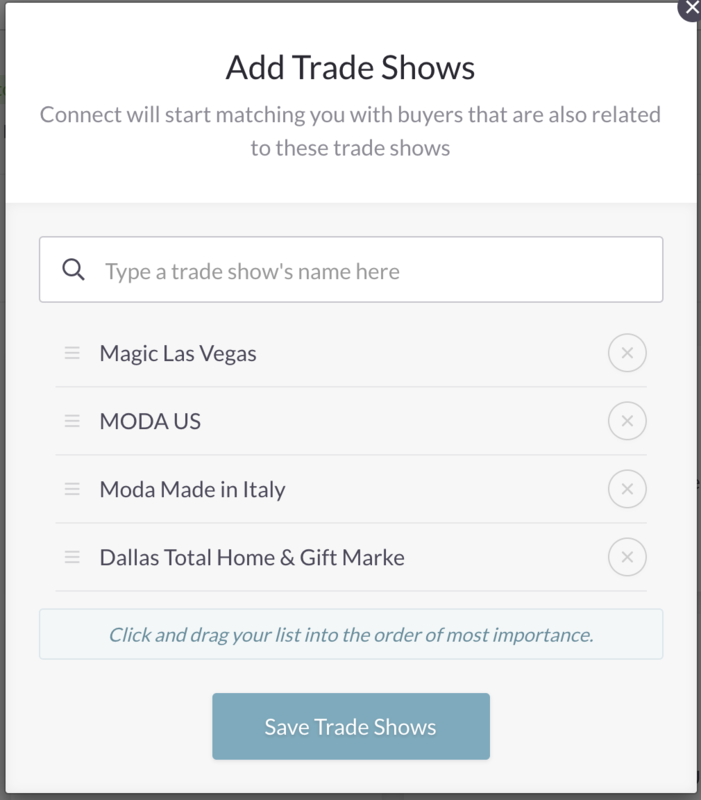 Here you can select which Trade Shows you'd like to receive Matches based on.